Search the digital collections of SJSU's Special Collections and SJPL's California Room. Search Calisphere for primary sources. SJSU has a large collection of historical photographic materials that document daily life in the Bay Area from 1910 to the present, as well as a large collection documenting the history of the university history.Not all of our collections have been cataloged, including the Thomas King Slide Collection, Gerald L. French Photographic Collection, Emerson Shaw Photographic Collection, and miscellaneous collections. For more information about our holdings, please contact the Department Reading Room at 408/808-2062. 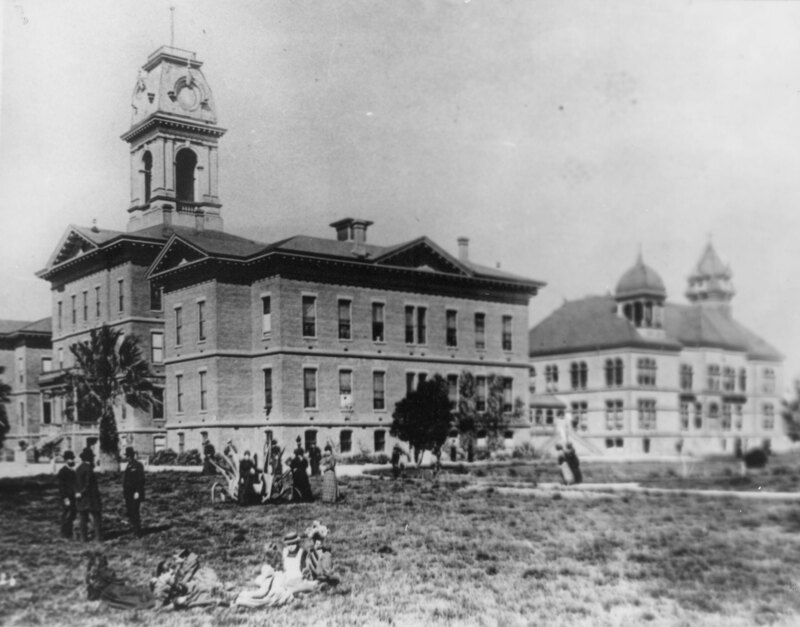 This collection consists of a variety of visual materials depicting the buildings, people, and events of San Jose State University, and its previous incarnations: San Jose State College, San Jose State Teachers College, and the California State Normal School in San Jose and San Francisco. Some of the reproductions originated from school newspapers or catalogs. There are also a few drawings represented. The majority of the collection documents the history of the university, but also covers events or places in San Jose or Santa Clara County. The John C. Gordon Photographic collection documents the history of San Jose and the Santa Clara Valley from 1910 to 1963. The collection consists of 6,000 photographic prints and 187 panoramas. The collection also includes 525 panorama nitrate and safety film negatives, 10,000 glass and film negatives, and the photographer’s portfolios and negative index. These items are not described in this collection inventory, but will be added at a future date. The photographic prints are organized by subject, covering a variety of topics that illustrate everyday life in the region. 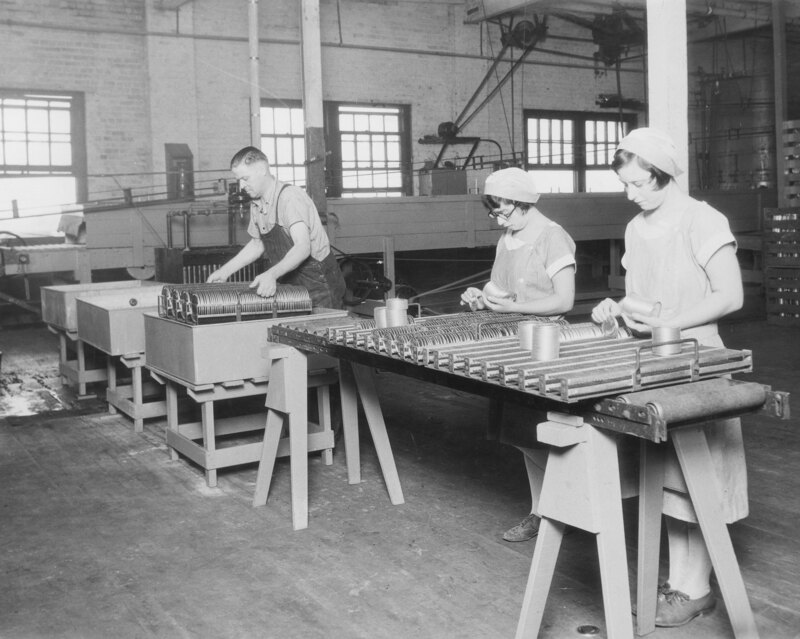 This collection documents the changes in area business ventures that include agriculture, fruit canning and processing, banking, local businesses, aeronautics, rail roads, and other manufacturing businesses. The Bill Regan Photograph Collection documents San Jose State University (SJSU) from 1937 to 1953. The images chronicle a variety of campus events, sports, students, staff and faculty members. The collection consists of photographs and negatives. This collection documents the career of photojournalist Theodore (Ted) Sahl. Sahl spent the majority of his career documenting social and political events in the Bay Area. The bulk of this collection documents his photographic work with the gay and lesbian community in San Jose and the Bay Area from 1976-2001. The collection includes background research and working drafts of Sahl's book From Closet to Community: A Quest for Gay and Lesbian Liberation in San Jose & Santa Clara County (2002), personal papers, photographs and negatives depicting gay and lesbian life in San Jose, published and unpublished essays, and materials related to the San Jose Gay Pride Committee.